The Illinois Central College Arts & Communication Department has a rich history of enhancing the arts community and expanding education beyond the classroom. We strive to create opportunities for students to share in artistic performance to gain real-world experience in front of audiences and for the benefit of the community. We’ve named our collective effort Arts at ICC. Arts at ICC presents more than 500 performances, lectures, rehearsals, meetings, master classes, clinics, seminars, receptions, orientations, forums, auditions and tournaments annually. The Performing Arts Center, constructed at a cost in excess of $2.5 million and opened in January of 1978, is a totally self contained unit, supported and maintained by the college. Because Illinois Central College is a tax-supported Community College, the PAC is designed to provide services to both College and non-College groups concerned with planning and presenting successful performing arts events. The PAC plays an important role in providing opportunities for students, faculty, alumni and the community to meet and interact in an atmosphere design to enhance intellectual, social and cultural growth. The Performing Arts Center has 478 permanent, dedicated seats with an additional area for easily-accessible seating for handicapped individuals. For most events, 22 handicapped-accessible seats are available, bringing the overall seating capacity to 500. The facilities include a dead-hung staging area and main house, light and sound control booths, box office, dance studio (also used as a studio/black box theatre), prop storage, scene shop studio, male and female dressing rooms, a twenty-eight station makeup room, costume storage room and costume construction room. The Performing Arts Center currently presents the ICC Guest Artist Series of major-talent acts, ICC Music Program’s performance ensembles, ICC Theatre Program’s productions (4 per year), concerts by community-related performance groups, non-subscription concerts and performances and rotating visual art displays. It is the intention of the management of the Performing Arts Center that this information be useful to touring artists as well as to college and community users in providing information concerning the facility and thereby being of use in preparing, in advance, for the best productions possible. Further details may be obtained by calling the Performing Arts Center at (309) 694-5136. The Lecture/Recital Hall, located in Room 127F of the Academic Building on the East Peoria campus, is our versatile and moderately intimate venue designed especially for what its title suggests–music performance and educational presentations. 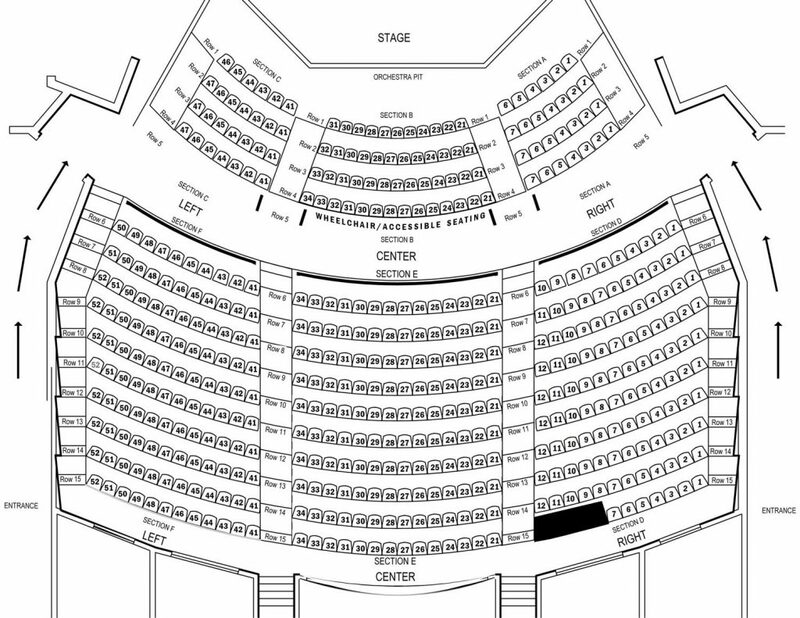 Seating 178, this venue beautifully emulates the modern era architectural design, the inspiration for the architecture of Illinois Central College East Peoria Campus. Exhibitions in Gallery 336B and the Performing Arts Center Gallery typically feature works by professional artists, while Gallery 131D features art created by students. For more information on the ICC Art Galleries, please contact the ICC Arts & Behavioral Sciences Department at (309) 694-5113.